CAPE TOWN – JOB creation, innovation and poverty alleviation are just some of the major achievements by several Cape Town recycling initiatives, making a tangible difference at grassroots level in communities. This is being celebrated by the PET Recycling Company (PETCO), the national recycling body for PET plastics, in the form of an “inspiration session” to be held in the city on November 20 (5-7pm). The two-hour event will honour several recycling initiatives in the city that are making strides not only in PET plastic recycling, but also in uplifting communities. PETCO is encouraging members of the public to attend the event to learn more about the unique and life-changing initiatives taking place throughout the city. Included in the line-up of speakers are Chad Robertson of tech solution provider Regenize Recycling Collections, Ian Dommisse of The EcoBrick Exchange, Anthea Fransman of Recycle 1st and Lynn Worsley from All Women Recycling. Anyone interested in attending the event at the ICIC Auditorium in Waterkant Street can RSVP by emailing PETCO at kara.levy@petco.co.za. Tickets cost R100 per person and include catering. Robertson’s business combines technology and waste picker support services to create a successful inclusive recycling collection solution. “We believe we are making a difference in that waste pickers are the most impactful members in the recycling collection system. However, they’re not provided with adequate support and there are many safety concerns around how they collect recyclables,” he said. “We are trying to use technology to connect a person who generates waste with someone who collects waste, without the collector having to scratch through a bin to get it. 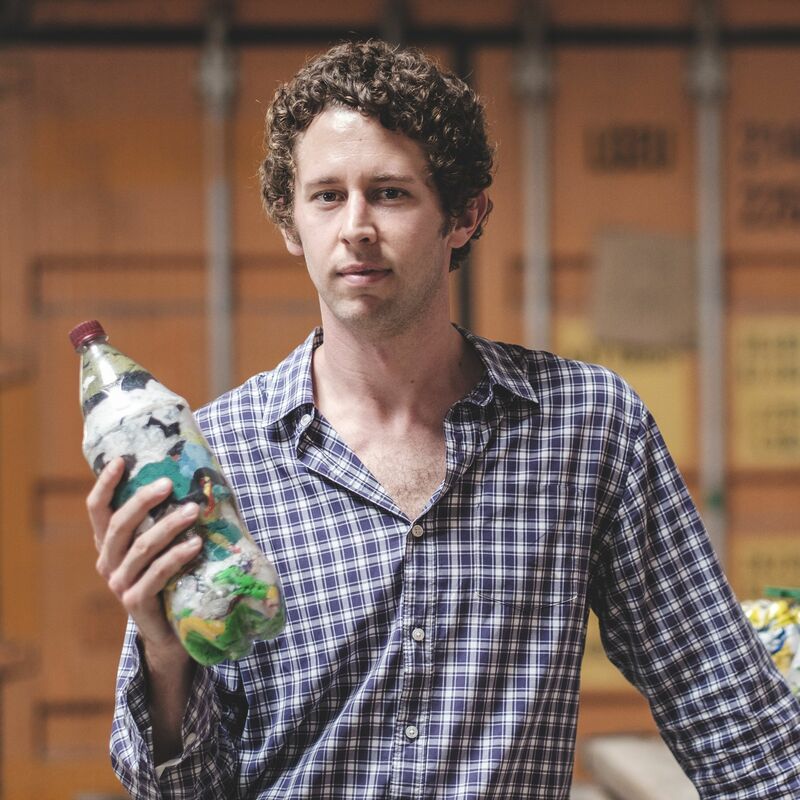 Robertson said Regenize’s aim was to make recycling more accessible to more South Africans by including waste pickers into the process and by making recycling an option to households who cannot afford it. “While we are running our pilot of free residential recycling, we’re also still running our existing business model where households, apartments and companies pay us a fee for their collections. “Our vision is to protect the environment from plastic waste whilst supporting early childhood development,” said Dommisse, the founder and director of the registered social enterprise which operates on a nationwide basis and trains communities to turn waste into structures of value. Dommisse said the campaign had gained positive traction in targeted communities since 2013 and that it had reached 322 700 people to date. “Recycle 1st was founded because I couldn’t find anyone to collect my recycling in the northern suburbs,” Fransman said. “From humble beginnings in 2009, I believe that we have made a huge difference, both aesthetically and in offering employment solutions. “We have diverted 520 000 kilograms of recycling from landfill and have grown to the point where we now employ 36 permanent staff members. “We offer a pavement collection service to homes, businesses and complexes in Cape Town, as well as on site management. As the name implies, All Women Recycling employs single mothers and women with little to no work experience or education. Unlike most businesses, founder Lynn Worsley wants her employees to eventually move away from the business, either to better jobs or to their own businesses. “We don’t only teach craft skills, but business skills too, because accessing skills training is paramount to their success,” said Worsley. “I don’t want the women to stay here forever. I want them to grow in the business until they’re ready to find other jobs. This is just a stepping stone for them. All Women Recycling buys plastic bottles from dumps and waste collectors and turns them into decorative gift boxes to sell locally and abroad. They also partner with large recycling companies, who donate bottles on a weekly basis. In 2016 alone, they prevented half a million bottles, or over 18 tonnes worth of plastic, from reaching the rubbish dump, with this volume growing annually. All Content Copyright © petco.co.za, . All rights are reserved.